Instead of sharing an Everyday Adventures post I decided to change things up today and share some favorite things. I used to do favorite things posts more regularly, but it has been awhile since I did one. I hope to get back to sharing these at least monthly. We love making homemade doughnuts. They are not quite the same as a fresh from the bakery doughnuts, but they are still very good. 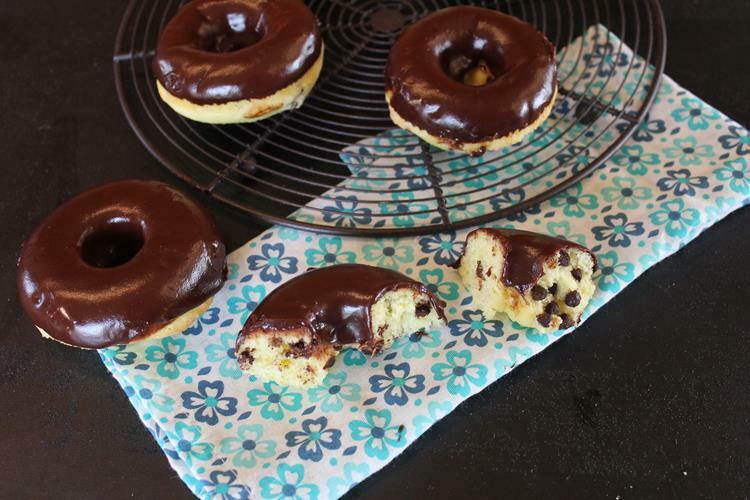 Yesterday I shared a recipe for homemade gluten free chocolate chip doughnuts. If you are gluten free they are a must make. I forgot to mention my favorite doughnut pan to use though. If you want to make homemade doughnuts, but don’t have a doughnut pan this one by USA Pan is my favorite. Nothing sticks to these pans. Baked goods come right out of them. Several years ago I did a post on the best gluten free pastas. Several readers recommended their favorites. After several readers mentioned this pasta, I decided to give it a try. It has become my new favorite gluten free pasta. We love it. The taste and texture is great. I wish I had tried it when readers first recommended it. It is more expensive and the only place I can find it is on Amazon, but it is worth it. I am still buying some of the others brands, since they are cheaper, but this one is definitely a new favorite. One of my crock pots broke a few months ago. Yes, I have several because I like to have different sizes. I also like to have several to use when we have company or for when I do freezer cooking. Over the last few years I have had a couple newer, fancier, crock pots. They have not lasted long at all. I am thinking of going back to a basic simple one like this one. What do you think? Is it better to keep it basic with a crock pot? This is a food blog so I wouldn’t normally link to Sport’s Illustrated, but this article, You Can’t Give In’: Monty Williams On Life After Tragedy, is so good! It is quite a story of tragedy and how to deal with. You might want to grab a kleenex before you read it. It is that good. I have been blogging since 2008. That means that I have years of recipes and posts that are often forgotten about. I like to occasionally highlight some of them so I thought I would add a few favorite links and recipes from the archives to my favorite things posts. Here are a few of my favorite April recipes.